A few little changes could make a big difference. No matter the version number, we love stock Android. It’s the main reason why the Pixel is still one of the best phones you can buy, and if we had our way, we would have already installed the freshest version of Nougat on our two favorite handsets of the year, the Galaxy S8 and LG G6. But stock Android is by no means perfect. For everything it does right, there are still those little things we wish it would do differently. 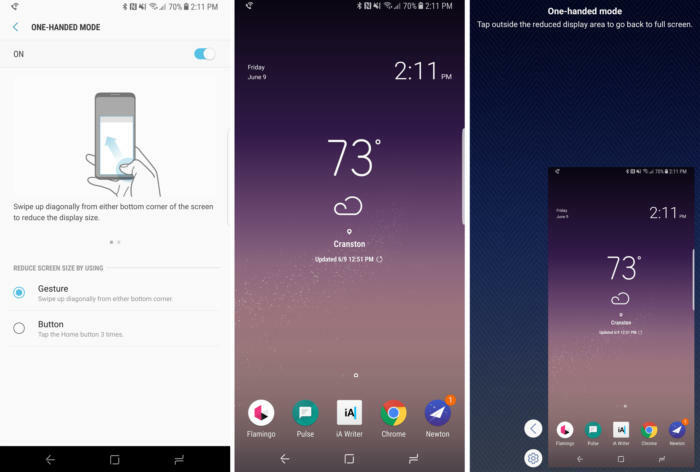 And while the customized interfaces from Samsung, LG, and HTC might pale in comparison to pure 7.1.2 Nougat, there are still some genuine improvements scattered throughout the OEM software. These are the ones Google should steal first. Sharing and editing screenshots on the Galaxy S8 is super easy. Now that Samsung has ditched a physical home button, taking a screenshot on the Galaxy S8 is the same as it is on the Pixel: Mash the power and down-volume keys. But Samsung takes screenshots to the next level with Smart Screen Capture. Immediately after capturing a screen, a collection of shortcuts appears at the bottom of the screen: scroll capture (which lets you expand the picture by scrolling down and splicing the images together), draw, crop, and share. It sure beats having to open Google Photos every time we take a picture of our screen. We love adding extra navigation buttons to our LG G6. The LG G6’s camera app is one of the main reason’s why it’s our favorite shooter. The Pixel may take great photos, but its camera app is surprisingly pedestrian. In fact, it’s one area where most manufacturers run circles around stock Android, and Google could definitely stand to learn a thing or two from its partners. For example: LG’s awesome square shooting modes and photo gallery strip. Or Samsung’s tremendous manual options and floating shutter. 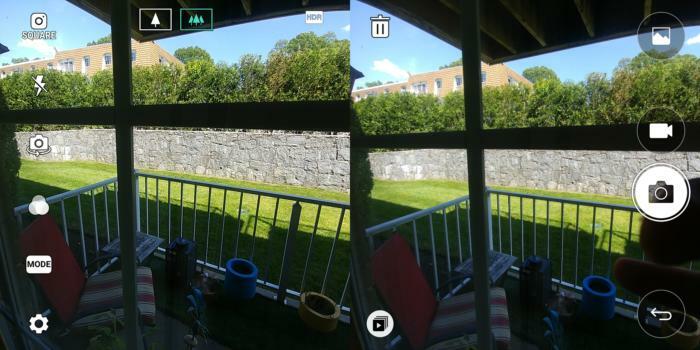 The list of features goes on, and we’d like to see Google add just a couple of them into the main camera app. A little help in the Settings app would go a long way. The Settings app can be tricky to navigate. While a search bar certainly helps track things down, there are still times when we’re not even really sure what we’re looking for. On the Galaxy S8, Samsung offers help, handing out Google search-style “Were you looking for” tips at the bottom of each screen. So if you’re in the Display settings, it’ll ask if you were actually looking for the always-on display settings or video enhancer preferences. You’d be surprised by how often it comes in handy. Android runs great on our Pixels, but we’d like a little more control over things. Our Pixel phones may be incredibly tuned to run Android at its finest, but Google doesn’t like to give us too much control over what’s happening behind the scenes. But our other phones do. 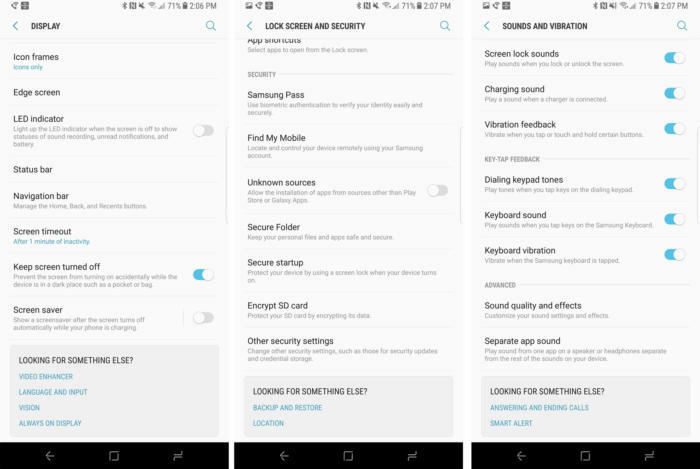 On our Samsung phones, the Device maintenance settings lets you optimize the apps, memory, storage, and battery life, and on the G6, you can quickly free up RAM right in the multitasker. 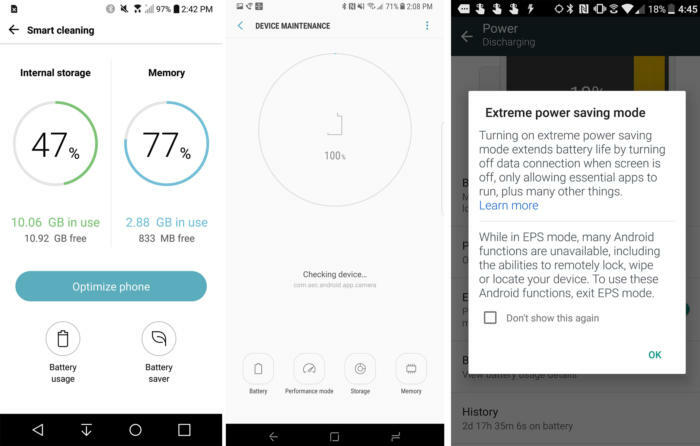 And we wouldn’t mind some extra control over our battery life either, like HTC’s extreme power saving mode. 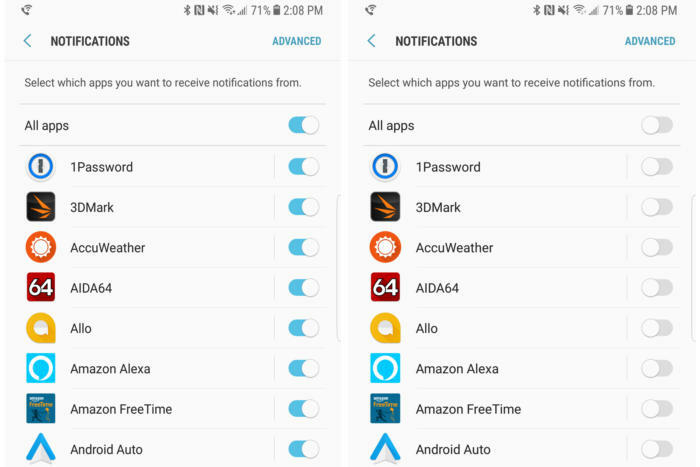 Do not disturb is fine and all, but we really want a kill switch for notifications. We have a love-hate relationship with notifications. While we like being apprised of important things on our phone, there are times when they just get too overwhelming. Do not disturb is fine for most cases, but we really like the switch at the top of the Notification settings on our S8 that lets us turn off all app notifications all off in a flash. Because sometimes even turning on Do not disturb is too much of a bother. Always-on display is long overdue for stock Android devices. 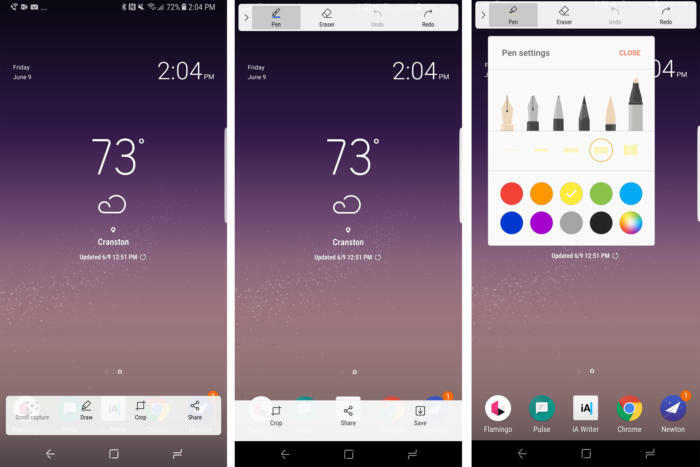 Android embraced low-power alerts with Ambient mode in Lollipop, but even after beefing it up with double-tap and raise to wake, Google still hasn’t gone all-in on the power-saving, glanceable lock screen. 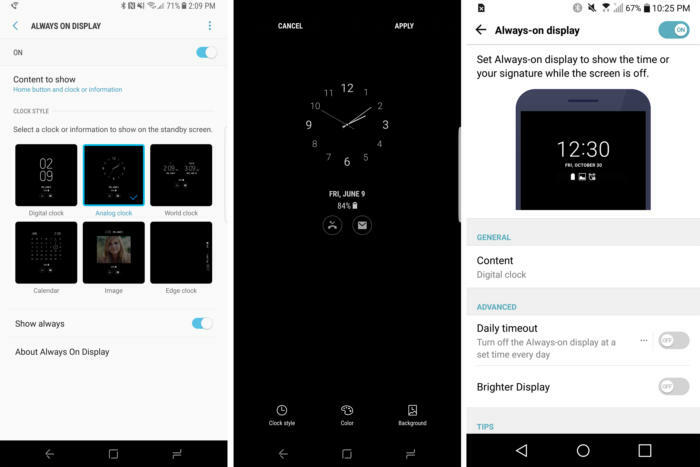 Always-on display isn’t just a favorite feature of ours, it’s practically an essential feature on flagship Android phones, showing the time and any awaiting notifications without needing to turn on the display or even touch the phone. And we’d really like it if Google let Nexus and Pixel phones get it on the fun. 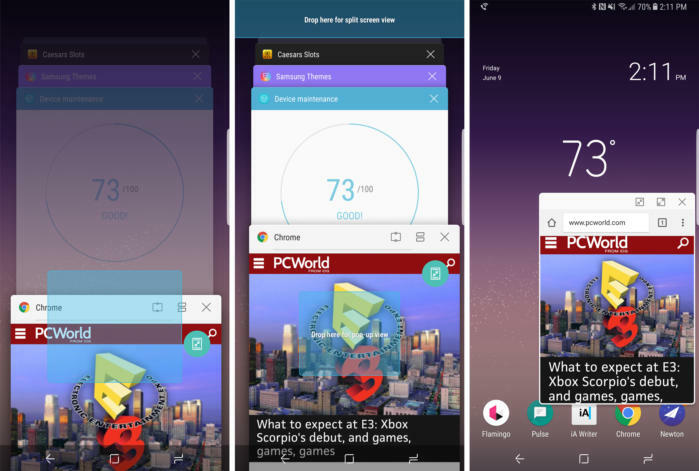 The Galaxy S8’s pop-up windows are an ever better way to multitask. Multi-window has added a real PC-style multitasking element to our Android phones. But Samsung has taken it one step further on the S8, with a second option called pop-up view. Pop-up view essentially turns any app into a temporary widget, putting it into a small, resizable window that floats over the screen. It’s kind of like Android O’s Picture in picture mode but for everything. The bigger our phones get, the harder it is to reach the top corners. A one-handed mode would help immensely. There’s no telling how big our phones are going to get, but one thing is for sure, they’re not getting any easier to use with one hand. Even with slenderer 18:9 displays, our thumbs have a hard time reaching across the screen, so Samsung has brought a cool feature to the Galaxy S8: one-handed mode. Enabled via a gesture or a triple-tap of the home button, it shrinks down the entire screen to an eminently reachable size for quickly getting to the hard-to-reach upper corners. We constantly use the app drawer on our Android phones and we’d like it if Google let us customize it. One of our favorite things about Android is the app drawer. However, while it does a great job with keeping our home screens uncluttered, Google doesn’t offer us any way to customize the experience. 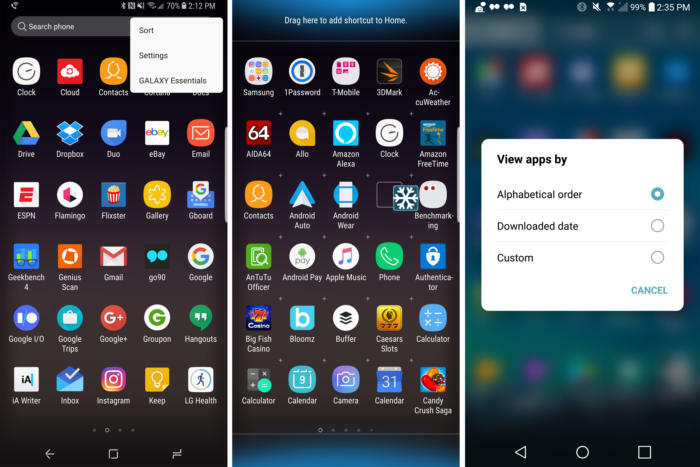 On other phones, we can choose to sort our apps alphabetically or by frequency of use, but what we really want is just to arrange our apps how we want, even if that means putting them in folders inside the app drawer. And one more thing: We’d love it if the little Play Store shortcut at the top of the drawer on our HTC phones made it over, too.